DVORAK, ANTONIN. (1841-1904). Czech composer; Along with Smetana and Janacek, Dvorak is considered one of the three greatest exponents of the Czech nationalist tradition in music. SP. (“Antonin Dvorak”). 1p. Small 8vo. (Approximately 3 ½” x 5 ½”.) 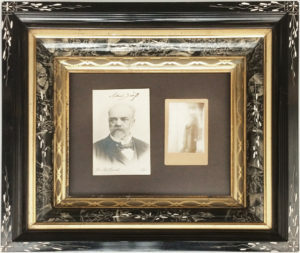 N.p., N.d. A black-and-white bust portrait (postcard format) of Dvorak by Prague’s Atelier J Mulač, boldly signed in the upper blank portion of the image. 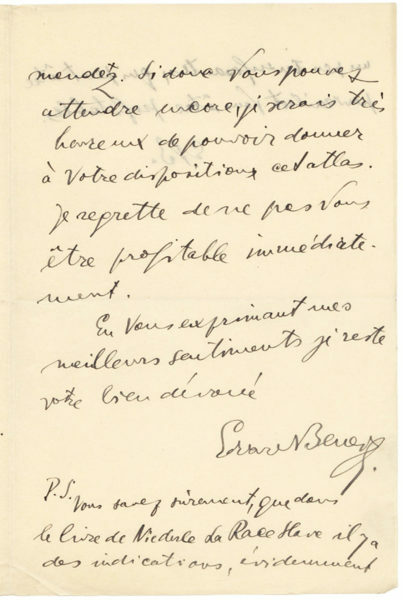 A prodigious violinist, Dvorak’s talent was first recognized by Johannes Brahms who was on the jury for the Austrian State Prize for Composition, which Dvorak won in 1874, 1876 and 1877 and who recommended the young composer to Simrock, his publisher, who commissioned Dvorak’s Slavonic Dances which made his reputation. 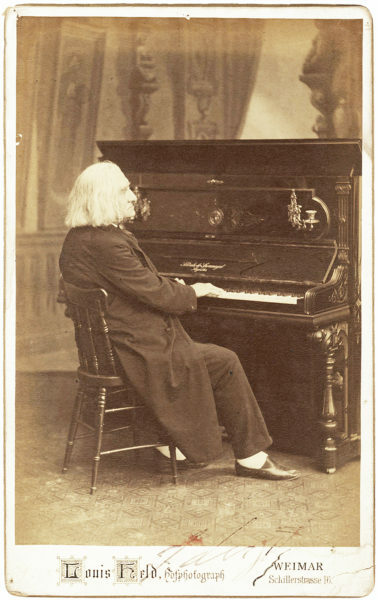 Much of his work was inspired by his Bohemian heritage, and include his Moravian Duets, Three Slavonic Rhapsodies, Hussite Overture, Rusalka, and the Dumky Trio all of which have Czech, Moravian or other Slavic influences. 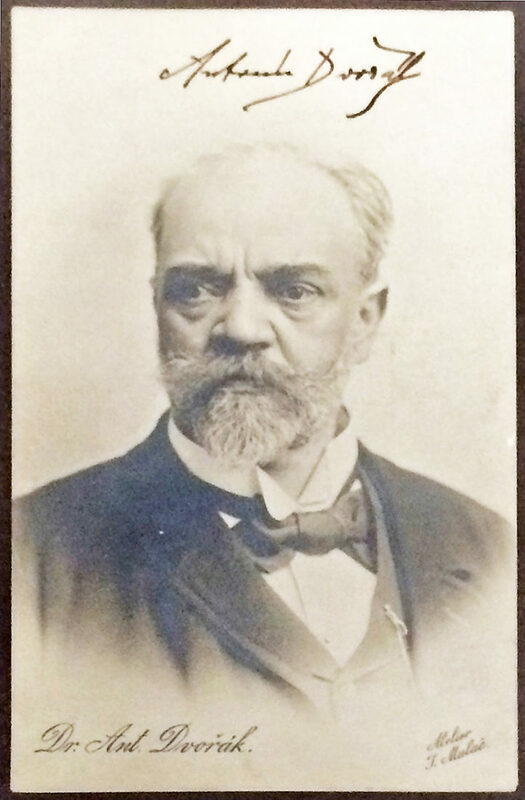 Dvorak devoted much of his career to promoting Czech music and theater. Undoubtedly, however, it is his Symphony No. 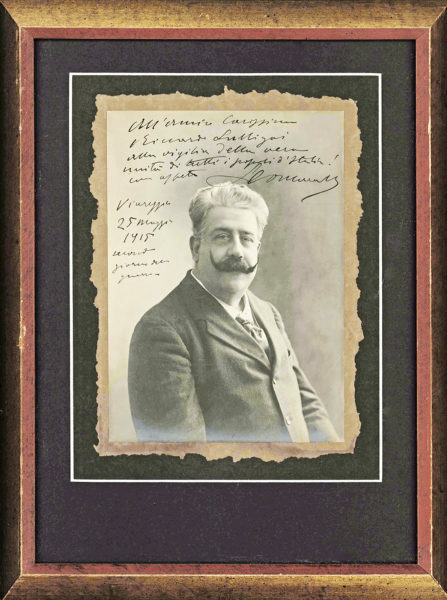 9, known as the New World Symphony, composed in 1893 while he was director of the National Conservatory of Music in America, for which he is best known. 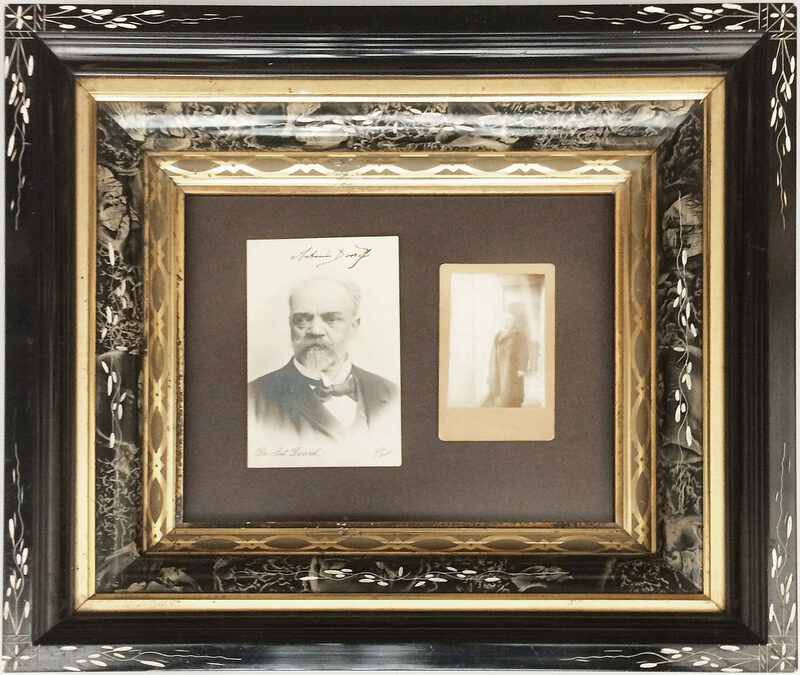 Floated with a second, undated and unsigned candid photograph of Dvorak in an ornate vintage frame. In very fine condition; not examined out of the frame.